In our past writings we covered saving through Leading an Eco Friendly lifestyle, Cutting those energy bills with Money Saving Energy Tips and when hitting the shopping isles Saving Money while Shopping. Adding to our money saving tips today we have some great ideas about living frugally with 5 Thrifty cleaning habits everyone know. When money is a little tight and hard to come by finding creative economical ways to cut back, become more frugal and save money is always our first reaction. However we rarely consider that our knee jerk response with regards to cleaning is to find cheaper more caustic and less environmentally friendly products to work with. We are of course aware that just maintaining the cleanliness of their homes, offices and other establishments require money but rarely consider how much this can all add up to let alone the result on our surrounding environment. First of all, thrifty cleaning does not only mean cutting down the amount of money you spend on cleaning tools and other accessories. Implementing thrifty cleaning habits for the office or the whole family that will avoid you having to clean up afterwards is definitely a time and money saver and really is a no brainer! Try taking off your shoes at the door which helps you reduce the amount of dirt, dust, carpet stains and puddles that you have to expend time effort and resources to clean. If all your family members make this as one of your simple habits you are guaranteed to reduce the amount of time you have to clean your floors because of the amount of mess you all track into your home is lessened. Another thrifty cleaning idea you should incorporate into your routine is using a broom. You do not have to continuously rely on a vacuum to clean your rooms. Stick on your handy broom and you will be surprised at the amount of money you can save on your energy bill and consumables like filters/bags. We all started using vacuums to make our lives easier but often forgot a little elbow grease and a broom will get the job done at zero cost. Sure its not quite as good as thorough but using habit number 1 your rooms are cleaner and your not needing to clean as hard right? It may seem small but the truth is disposable napkins and towels are among the most used item in a household (aside from toilet paper). Instead of using a paper version of these cleaning products why don’t you start considering using a cloth napkin? Cloth napkins are reusable, do the same job and you do not have to repurchase packs of napkins every time you run out. This is a very simple thrifty cleaning tip but the truth is it can help you save money over a long period of time. The cleaning of these napkins leads me to Habit #4 The laundry. The laundry is somewhere else you are going to burn through consumables and energy. 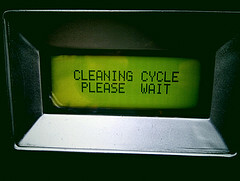 Hand washing those napkins with a tiny bit of soap and warm water instead of the machine cuts back on power and energy. Another tip is to hang wet articles on a rail, drying rack or line instead of using your dryer. (Yes I know some of us live in climates not conducive to this but try keep this tip in mind) Overusing your dryer is often going to be the main culprit of high energy bills. This is also one of those thrifty cleaning habits which can help to reduce your carbon footprint. If you are in the habit (I hope we all do) of using air freshener in your bathrooms, you can develop one of the best thrifty cleaning habits by using essential oil. 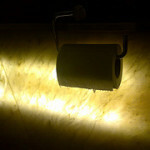 The next time you put out a fresh roll of toilet paper, get your favorite essential scented oil and put a few drops on the inside of toilet paper’s cardboard tube. Every time the paper is used, it will release the oil’s special scent. It wont always do the job with every odor but can work better than expensive sprays for the rest of the time. Experiment with combinations of different oils and smells to change your bathrooms feel. Should also be more economical than those cans and better for you too! Changing the way you think about cleaning isn’t that hard. Just takes a little forethought, a tiny amount of planning and remembering to change some of your expensive cleaning habits. 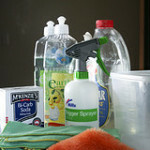 Add your thrifty cleaning habits to your routine, think creative about what you use and slash down some of your costs. Like our writing today? Know someone who could use these tips? Don’t forget to share on the left. Next post: Can you be too afraid to spend money?